Whenever two armies meet, the main battle will always be preceded by scattered fighting between each side's forward elements. As these small, fast-moving forces attempt to seize key road crossings, buildings, or areas of high ground before the enemy can do the same. You have encountered enemy reconnaissance forces, in an area that you have been ordered to secure for your own side. It is your duty to advance and seize those objectives before the rest of the enemy's army arrives. None (Or anything you decide to break out into a general mission rule). Both players roll a die. The player with the highest roll is the attacker, who will then choose a long table edge to attack from. The defender will then take the opposite edge. 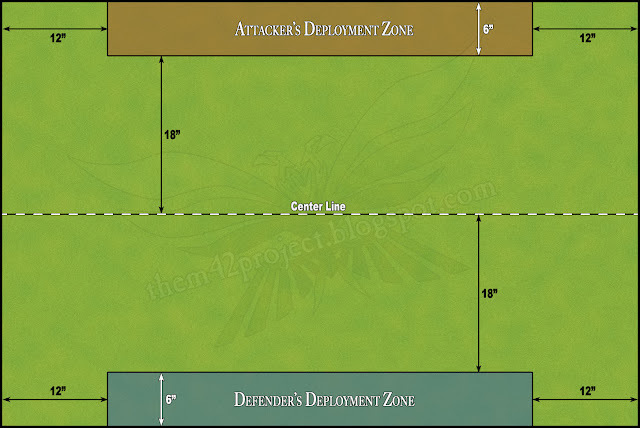 Starting with the attacker, both players will alternate placing 2 objectives in their opponent's deployment zone. Starting with the attacker, both players will alternate placing 3 obstacles. Such as rocks or trees. These may be placed anywhere on the table. So long as they are not placed within 4" of a building, wood, ruin, or another obstacle. Or within 12" of the table's edges. Starting with the attacker, both players will alternate placing their non-officer units. Starting with the attacker, both players will alternate placing all of their officers. Starting with the attacker, both players make any recon moves for units on their side. Both players roll a die. The winner of the roll-off will have the first turn. If one player has fewer units on the table than the other, that player may add +1 to the roll. 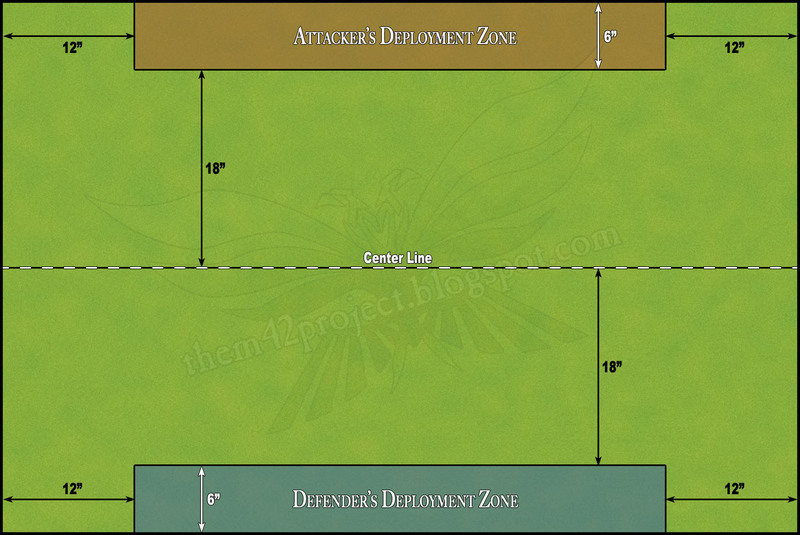 Either player will win by securing either of the objectives in their opponent's deployment zone. To secure an objective, they must have a unit within 3" of that objective that neither moved ATD or which is falling back, at the beginning of their Starting Phase. Without any enemy units within 3" of the same objective. If one side is forced to retreat due to a failed Strike Force Morale Check, then their opponent will win. Have at it and see what you can do HB. If you think we need to pull a rule description out into a general mission rule, go ahead. If anyone has any suggestions/thoughts on the mission, go ahead and share them.